On our stay in Cornwall, earlier this month I failed to take a correct turn at one point and a bit later on we stopped in a layby to look at our map (no satnav for us. Satnav is great for getting to destinations but doesn’t point out the chance finds on the way there.) The map lost my interest for I was clearly face to face with a railway station of yore. Do you know, I hadn’t really taken in that an old railway line passed quite near own campsite in the Blue Hills although I had already noted the odd parapet of a railway bridge. 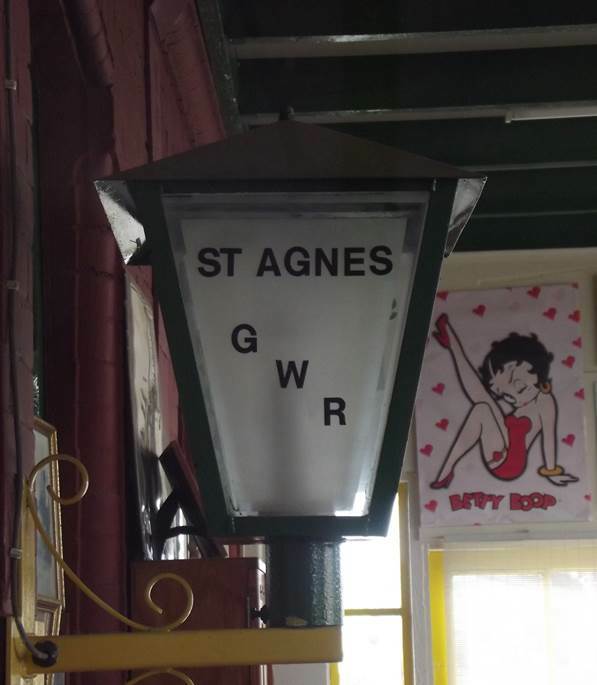 The station we found appeared to be nowhere in particular but by pure chance we had found the station called St Agnes. Research proved that this was a late arrival on the railway map, opening as a line from roughly Truro to Newquay in 1905. The line passed within a mile or so of St Agnes – but too far away to be useful really and also had a station on the edge of Perranporth. The line closed in 1963. I don’t suppose it had ever been busy or made money, but then it was built to make sure a rival railway company had no excuse to build a line to Newquay – a town still served by a branch line from Par. We returned to St Agnes Station to allow a nerd to be very happy. 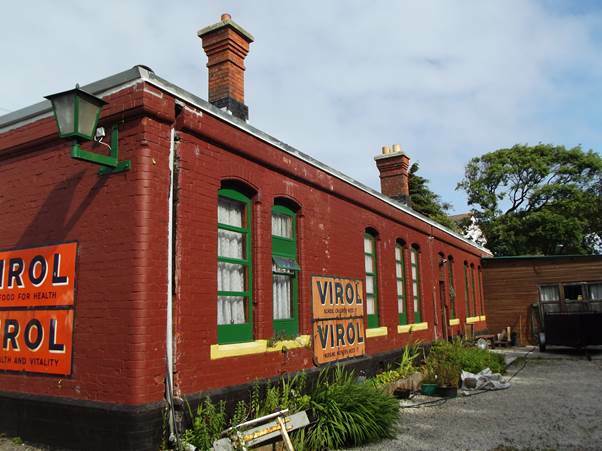 The old GWR station building is in red brick under the roof with the hip end. I imagine the frontage – in station style is a recent addition. Apparently there was an abortive attempt to make some of this line a heritage railway. But whoever owns it now seems to be an enthusiast so maybe the Virol ads came quite recently. The platform and running lines were on the right side, between the building and the tree-topped bank. 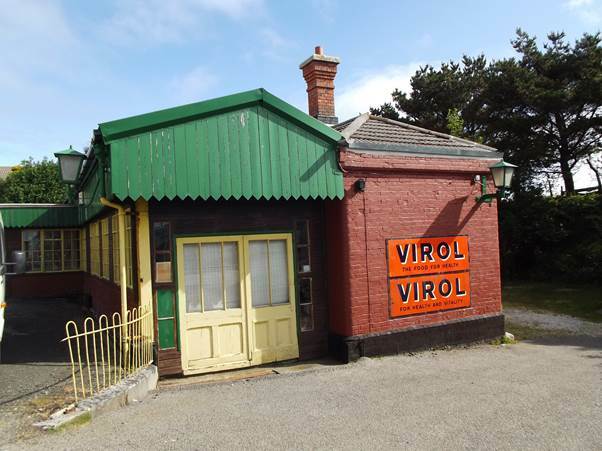 More Virol ads on a lovely little building. I can close my eyes and imagine the 08.15 from Perranporth (summer Saturdays only) coming to rest at the platform and then continuing its journey to Truro, Par and London Paddington where it arrived at five to four in the afternoon. Somewhere en route it would have passed the 08.25 from Paddington making the return journey. Inside the station there’s evidence of railway enthusiasm. There are station style lamps. I’ll apologise for the Betty Boop poster! There are relics and photos too. 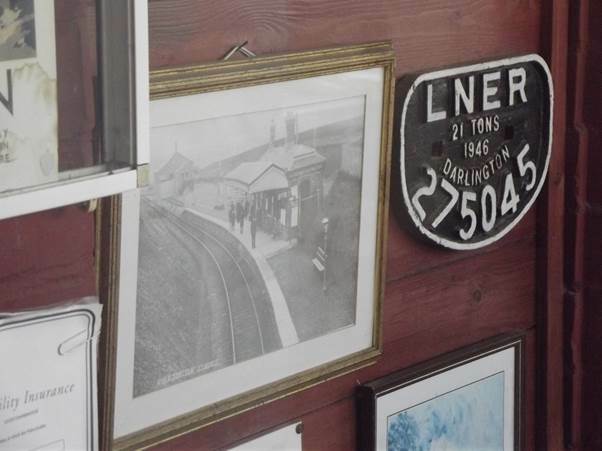 There’s an LNER truck plate (I bet nothing like it ever reached St Agnes) and a photo of the station. 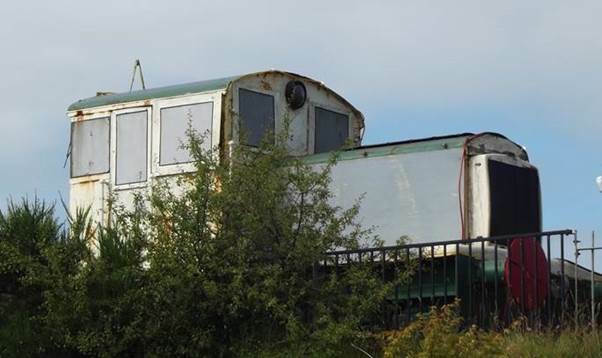 I have looked to the Cornwall Railway Society website at http://www.cornwallrailwaysociety.org.uk/chacewater-to-newquay-branch.html for other photos. 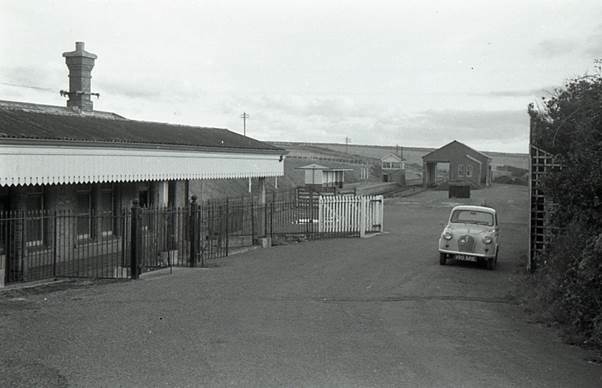 This was the station forecourt in 1963 – the year of closure. And here passengers board at the platform. The big surprise for us was the presence of a diesel shunting loco on a raised plinth in the yard. I think this is a Devonport shunter – certainly never a main line loco. I was delighted to find this old station and the evidence of railway enthusiasm there. I know it wouldn’t be every holiday maker’s idea of a place to visit but it helped me to understand the area I was in. During the course of my life I have been to most places in my home country but there are still pockets to visit. One of them got knocked off the list recently – areas of South Yorkshire, near Sheffield. I am not, usually, a lover of the big towns and cities. But I had been to Sheffield once, many years ago and then by train. This time I avoided the great South Yorkshire steel town – but that’s not to blame Sheffield. The avoidance of big places just makes me happier. Our niece lives in what might be called an outer suburb of Sheffield called Chapeltown. That’s a place of manageable size for me. You can see the hills and the place is surrounded by woods. It might not be called ‘pretty’ but it’s a place I could live with. It has a busy railway line running through – linking Sheffield with Barnsley and beyond. From niece’s house we could hear the trains rumbling by at frequent intervals. But this area has suffered (or benefited) from rivalry between different companies in the past. Chapeltown has another line – long closed. It would seem it was on another line which linked Sheffield with Barnsley – and beyond! The station at Chapeltown was known as Chapeltown Central – a complete misnomer since it is on the northern edge of this settlement. It was also known as Chapeltown and Thorncliffe. 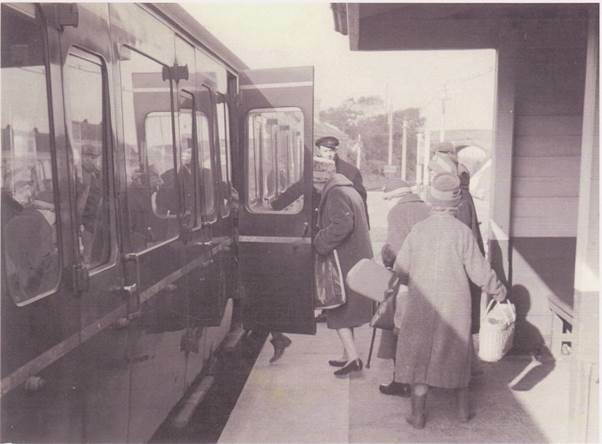 The station closed to passengers in 1953 and to all traffic in 1954. Sixty years on the station survives and still looks like a railway station. This photo was taken on May 26th 2013. The station, which opened in the 1850s, was rebuilt in the 1880s by the Manchester, Sheffield and Lincolnshire Railway (who later committed the folly of building their London extension and then called themselves the Great Central Railway). I don’t go much on the idea of ghosts, but local legend says the station is haunted by the ghosts of World War II servicemen killed in an explosion whilst on their way to a very local tank factory. You can take or leave that story. For me it’s a good looking house in a pretty decent setting. 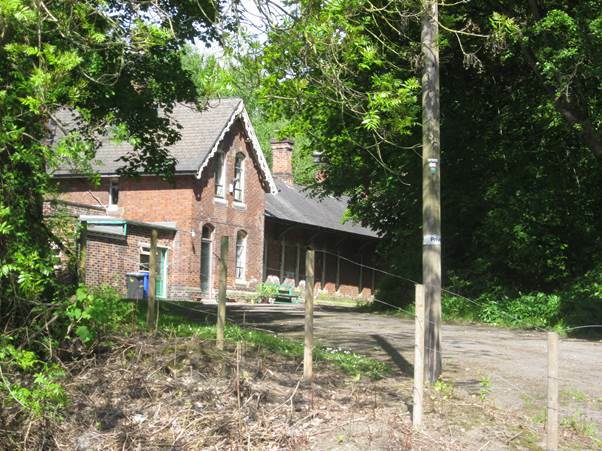 And if you want to go to Sheffield, this old station house is just four and a bit miles from the Meadowhall centre. Just look at those aerials!